Connecting India's best enterprise startups with Fortune 1000 firms. Catalyzing $100B in partnerships in 10 years and rebranding India as a tech product nation. CloudCherry is a Customer Experience Management (CEM) platform that is changing the way organizations around the globe listen and respond to customers. CloudCherry's innovative journey-based approach, integrations and predictive analytics allows business leaders to quickly understand customer needs to proactively tackle churn, increase recommendations and productivity. With its quick deployment architecture and Customer Experience framework CloudCherry enables industry-leading response rates, real-time actionable insights and business outcomes. CloudCherry's customer obsession means that support is bundled into the platform for the best CEM value on the market today. DataWeave is a SaaS platform providing “Competitive Intelligence as a Service” to Retailers and Consumer Brands enabling them to “compete profitably” and grow. Combining ML / Computer Vision / Advanced NLP and Human-in-the-loop approaches, DataWeave helps businesses with timely accurate insights around pricing optimization, merchandising analytics, share-of-voice & counterfeit detections. Firsthive is an Intelligent CDP that builds Unique Customer Identities by extracting data from various sources of customer interactions & transactions. 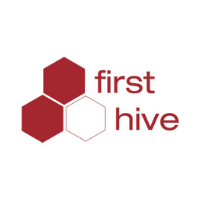 Firsthive is world's first CDP to use Machine Learning for building unified customer identities and layer it with actionable campaign targeting recommendations to deliver disproportionate jump in Marketing ROI. MoEngage is an intelligent marketing cloud, built ground-up for the mobile-first world. 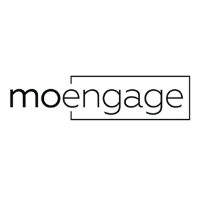 Over the last 4 years, MoEngage has built a world-class product that influences digital experiences for millions of users across some of the largest brands in the world. With AI-powered automation and optimization capabilities, MoEngage enables hyper-personalization at scale across channels like mobile push, email, in-app, web push, and SMS. Leading brands across the U.S., Europe, and Asia including companies like Samsung, Deutsche Telekom, Hearst, Vodafone, Travelodge, and Aditya Birla Group use MoEngage to enhance their digital customer experience and grow online sales. MoEngage is the youngest company featured on Gartner’s Magic Quadrant. 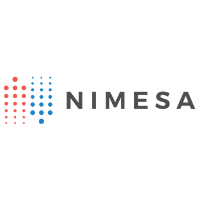 Nimesa help enterprises to recover and protect their critical IT applications in less than few minutes. 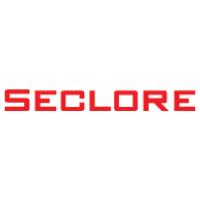 Seclore's core technology allows enterprises to secure data as it goes to un-managed applications on cloud, uncontrolled devices, un-monitored networks and external agencies. The Seclore Data-Centric Platform brings together best-of-breed Data-Centric Security solutions with existing Enterprise systems to streamline the discovery, identification, protection and tracking processes. Talview's AI-led hiring software coupled with mobile, 24x7 access, predictive hiring and superior workflows have brought down time to hire by 60% for its customers. In a competitive market for talent where the ability to respond quickly to changing workforce dynamics is key, Talview is fast becoming "the" choice solution for talent acquisition for some of the largest organizations across the globe, including Accenture, Deloitte, OCBC Bank and Sephora and fast acquiring proprietary data which will aid network effects. 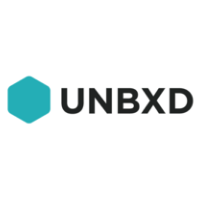 Unbxd is a leading e-commerce product discovery platform that applies advanced data sciences to connect shoppers to the products they are most likely to buy, while providing predictive actionable insights for merchandising. By assimilating innovation, accuracy, and enhanced relevance, Unbxd helps e-commerce companies, regardless of their size, optimize user interactions with their website, enhance conversions, and subsequently increase their sales volume. Whatfix adds overlay navigations providing step by step guidance for employees to accelerate adoption of enterprise application softwares. Whatfix In-App walkthrough provides optimal efficiency for users, compared to traditional mode of training & support. Predera is the world’s first automation engine for monitoring and auto-managing artificial intelligence & machine learning apps. 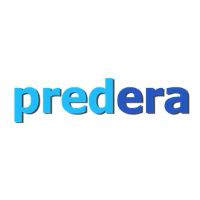 Predera enables an integrated platform for deployment and monitoring AI applications to provide intervention alerts, human-in-loop feedback and autonomous workflow management capabilities required to significantly reduce the cost of maintenance of Artificial Intelligence.